The scale on each page represents 1mm. 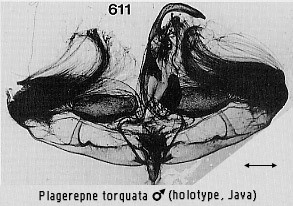 Specimens illustrated are from Borneo except where indicated. 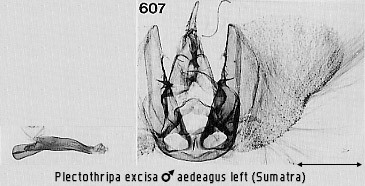 The aedeagus is from the same specimen as the main part of the genitalia unless stated to the contrary. 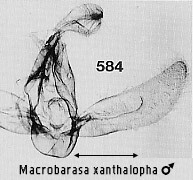 For most Xenochroa males (indicated by asterisks; figs 306-341), enlarged drawings of vesica cornuti by Shayleen James are also included.